On Sunday, should Peyton Manning play in over 70% of his team’s offensive plays and pull off an upset win over the New England Patriots in the AFC Championship game he could earn himself a $2,000,000 bonus. A performance bonus, which is contingent on services performed, is taxed at both the federal and state level as compensation. Therefore, Manning’s bonus could be apportioned to each state in which he performs services during 2016. 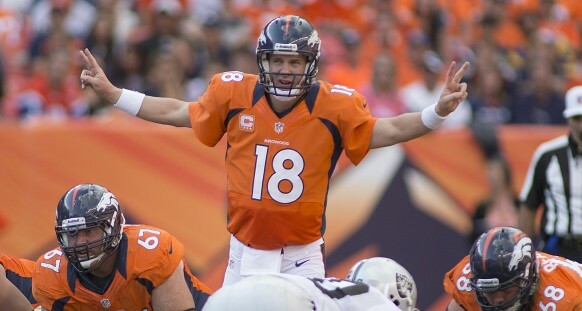 Should Manning retire, the entire bonus would then be allocated to his home state. Should Manning choose to return for his 19th season, then his bonus would be allocated into each jurisdiction he plays next year. Should he return to the Broncos, the team is scheduled to play road games in Cincinnati, Jacksonville, Tennessee, New Orleans, Tampa Bay, Oakland, San Diego, and Kansas City. Each one of these states and cities in the cases of Kansas City, Cincinnati, and Los Angeles, if San Diego were to move, would be able to apportion and tax, not only his salary, but also the bonus. Since Tennessee, Jacksonville, and Tampa Bay are located in states with no income tax there would be no liability in these jurisdictions. Should Manning choose to sign with another team next season other than the Broncos, then his salary and bonus would be apportioned according to their specific schedule. It should be noted, that as Manning’s health has deteriorated over the past year and he has been prone to miss games, any road game in which Manning does not travel to and play in, he would not need to allocate his bonus. Although, Manning would need to pay additional tax in each jurisdictions as a non-resident (jock tax) he would be able to apply that tax back to his resident state as a tax credit. Although this alleviates some of the double taxation, in many cases there are limitations and the credit is not dollar for dollar. With two trips into California next season, the state would benefit the greatest from a win against the Patriots. While states and cities are always looking for ways to increase their revenue, professional athletes are an easy target. The fact that both Cleveland and Tennessee’s jock tax policies have been found to be unconstitutional, show that jurisdictions may over reach their boundaries. Unfortunately for Peyton Manning, the allocation of a performance bonus is not a situation of a state operating outside of their constitutional rights.